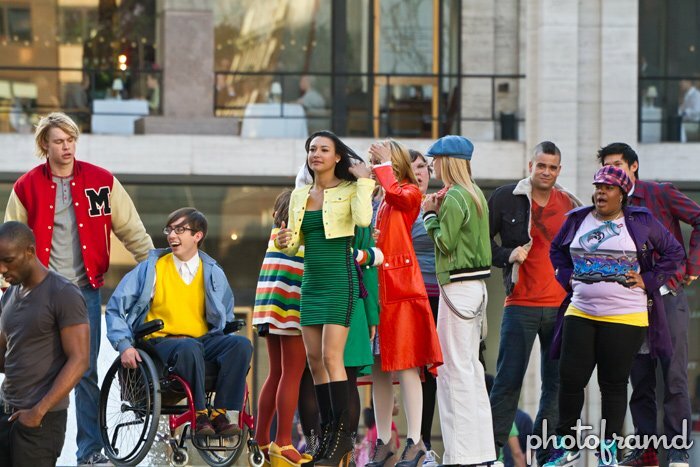 The cast of Glee wrapped their day of exterior shoots around New York City by spending the afternoon at Lincoln Center. They filmed various parts of a musical number around the fountain in the main plaza. 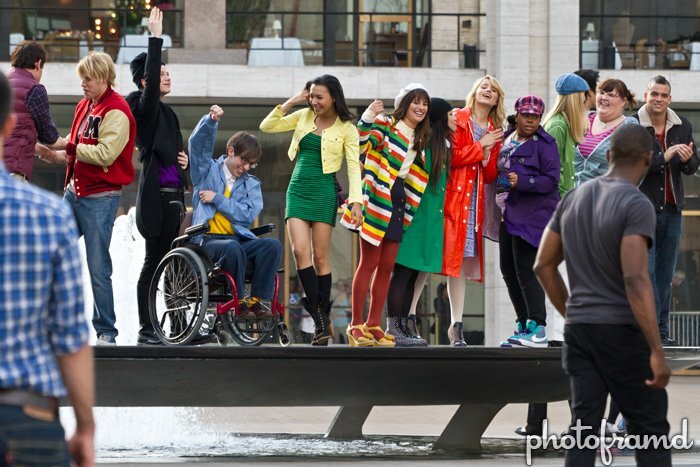 All the Glee kids participated, but Mr. Schue was not included. 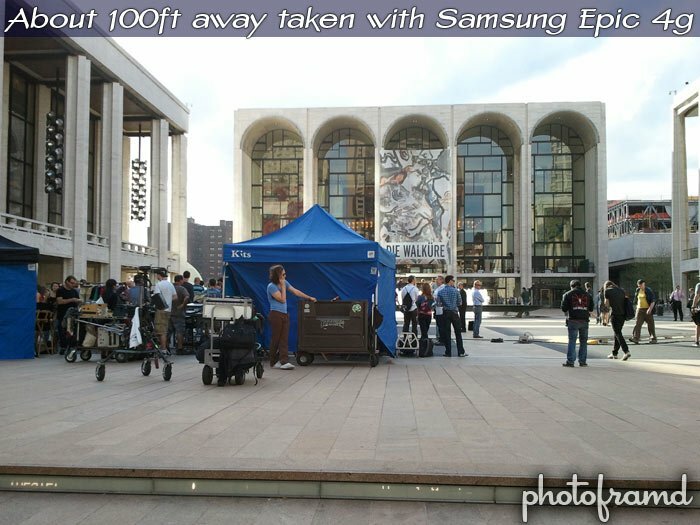 The event drew a large crowd of on-lookers, fascinated by the chance to see the cast of this popular show. By the way, I was about 100ft away as you can see from the next photo. 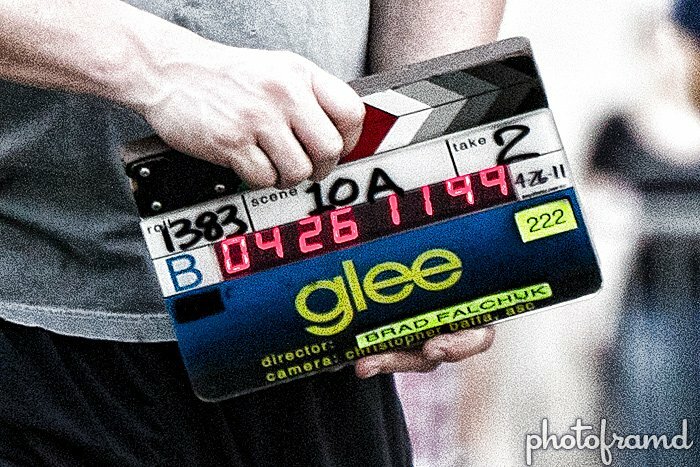 Be sure to see the photos taken earlier in the day when the Glee cast filmed in Central Park. All of these photos were taken with the Canon 7D and the new Sigma 50-500mm lens (hand-held with Optical Stabilization). This Sigma lens is a blast to use! B&H has the new Sigma 50-500mm f/4.5-6.3 APO DG OS in stock in all mounts including Canon, Nikon, Sony, Pentax, and Sigma for $1,659 with Free shipping. Adorama has the new Sigma 50-500mm f/4.5-6.3 APO DG OS in stock in all mounts including Canon, Nikon, Sony, Pentax, and Sigma for $1,659 with Free shipping.